"How is it that the clouds still hang on you?" one gay man's life has this and more. 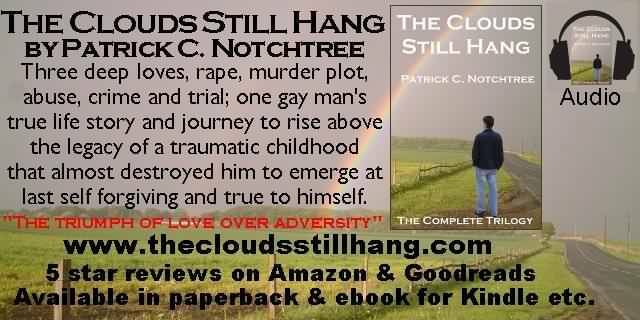 The Clouds Still Hang: a trilogy telling a story of love and loyalty, betrothal and betrayal, triumph and tragedy; novels that chart one man's attempts to rise above the legacy of a traumatic childhood; the story of a gay man's life and consequences of repressed sexuality. The entire trilogy is also available as an audiobook. Hear me read my own true story. The Complete Trilogy also available in Large Print from here. "I've never read a book that's taken hold of me in such an emotional way. It's on my mind weeks later. I see your pics [on this website] and I can see the book I read. Lovely." Tweet from Australia. It is a varied, exciting, demanding, sometimes terrifying life story. It is not suitable for those under 18 years or who find explicit gay sexuality, sexual narrative, including sexual violence, offensive. 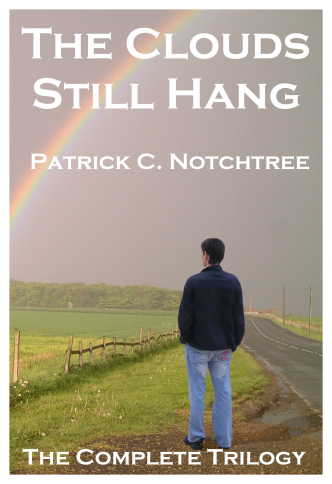 There are links here to some excerpts from the book. They give a taste of each phase of Simon's life, but hopefully without the need for "spoiler alerts".